Invented in 1890 by Thomas Edison, fuses protect wiring and equipment from overheating by breaking the circuit (blowing) when the current in that circuit exceeds a specific rating. Fuses are not "shock protection" devices. When current exceeds a fuse's current rating, the link inside melts, breaking the circuit. This prevents fire hazards that result overheating or equipment damage from "over-current" situations. Slow blow (time delay) fuses have built-in time delay features that prevent them from blowing during intermittent current surges (large motors, air conditioners and dryers). Time delay fuses blow under constant or repeated current overload conditions. 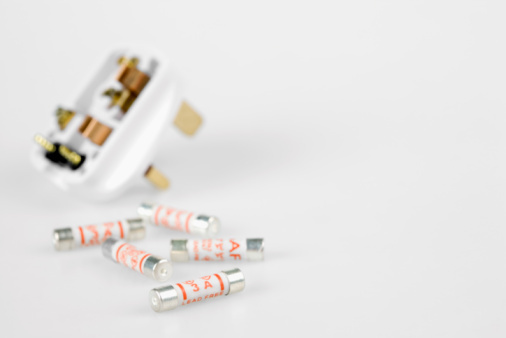 Regular and fast-acting fuses blow instantaneously--they protect lighting, electronic and other household circuits. Equipment on these circuits is sensitive to current surges. Slow blow fuses should be used in circuits requiring sudden starting surges (motors, dryers and air conditioners). Fast-acting fuses should be used in motor circuits will blow more frequently. If a circuit has a current rating of 15 amperes and a voltage rating of 120 volts, then the current rating should not exceed 15 amperes and the voltage rating should be "at least" 120 volts. It is OK to replace fuses with higher voltage ratings than the original fuse. When replacing fuses, never exceed the current rating and use at least the voltage rating of the fuse being replaced; follow manufacturer's recommendations. 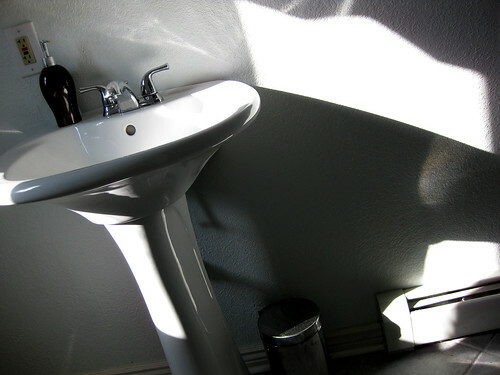 When in doubt, check with a licensed electrician or appliance technician for advice. Never try to modify electrical circuits.